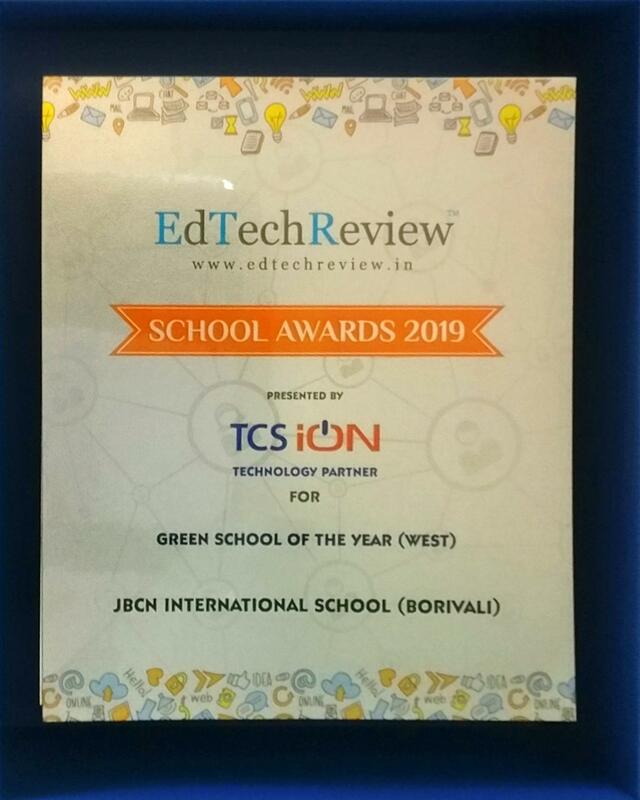 We are extremely thrilled and proud to announce that JBCN International School, Borivali has secured the Edtech Review award this year too in the category of “Green School of the Year”. Last year we were awarded as a “Future Ready School”. 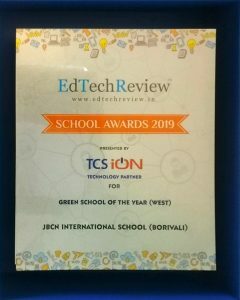 The school was awarded at the EdTech Review Summit awards & Expo 2019 – India’s biggest gathering of participants from various cities, representing government officials, education entrepreneurs and investors for an engaging exchange of ideas and best practices in edtech at Taj Bangalore. A 100 international thought leaders and speakers shared their insights & perspectives on the future of educational technology at this summit, some of the key topics being Affordable Private Schools: Quality Education for Masses & the Role of Technology, Personalized Learning for Kids, Personalized Learning for Student Success, Creating a Student Centered & Interactive Classroom, Importance of Technology in 21st Century Classrooms, Virtual Reality in Education, Early literacy in India – Role of technology, Innovation and Partnerships, How Data Sciences & Technology are improving the Learning Effectiveness. Congratulations to our parents, learners and staff on securing this award!